Cisco has made the next move in its integration of 2017 acquisition Viptela, prepping an SD-WAN upgrade it is going to ship to a million routers. Readers may recall that Viptela was founded by ex-Cisco executives, and was acquired by Switchzilla in May 2017 for $610m (somewhat under its peak valuation at $900m). Cisco is now putting its SD-WAN technology to work to simplify branch management by blending its vManage software into DNA Center, and out to routers as part of the IOS XE software that drives ISR/ASR routers. That's where the "million routers" number comes from – any device in those two series less than around four years old can handle the IOS XE upgrade. 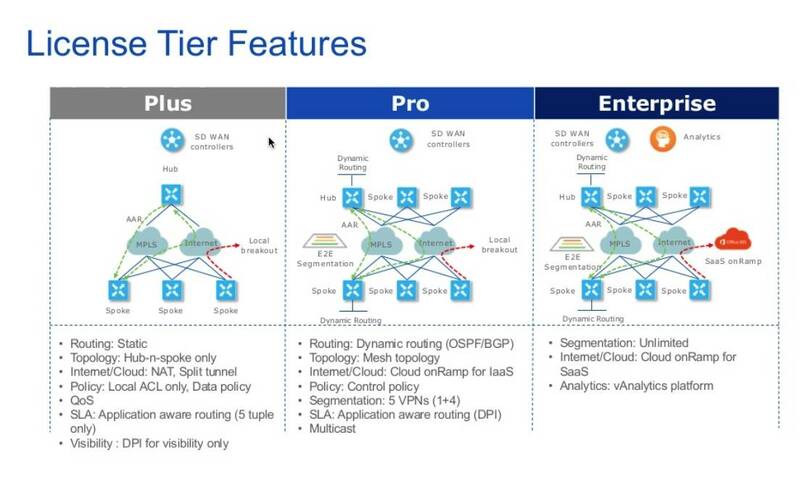 Anand Oswal, senior veep of engineering for for Cisco's Enterprise Networking Business, blogged that the IOS XE upgrade provides a path for customers to give their distributed offices an SD-WAN fabric "on the installed base". From the admin's point of view, Oswal said, connectivity is unified whether the connection is MPLS, Ethernet, the public internet, DSL, LTE, or leased line. As well as making applications more consistent across SaaS, cloud, and on-prem data centres, he added that it's much easier to secure applications and devices with an SD-WAN in touch, as it is to handle configuration and management tasks. Oswal said, for example, that putting the WAN under software control means a branch user's traffic can be sent directly from user to an SaaS application, without having to traverse the head office network. The Viptela integration also shunts router management off into the cloud for better remote oversight of anything that doesn't need a truck roll to the branch. Where a truck roll is needed, such as connecting a new router to the network, vManage running as a cloud application can handle device configuration including policies, device security, application QoS, and network segmentation. Network admins with longish memories will be pleased to hear this, since Cisco's previously had trouble with its password-unprotected Smart Install, which has led to complaints that it's attackable (there's a tool to block it). Oswal's post doesn't mention how licensing works for the upgrade, but this February presentation from Cisco Connect said the hardware price won't change. Rather, the SD-WAN capabilities will be offered under three licensing tiers, "Plus", "Pro" and "Enterprise", as addons to the CPE cost.